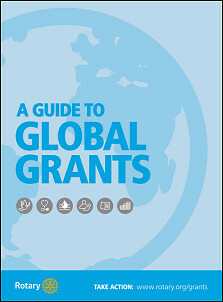 WHAT IS A GLOBAL GRANT? 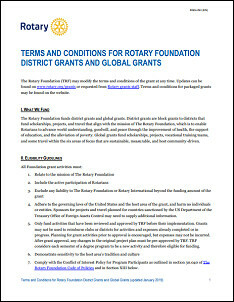 A Global Grant is funding by the The Rotary Foundation for a significant project with a budget of at least $30,000 carried out in partnership between an international Rotary club or district and a host Rotary club or district to address a need identified by a community in the host's country which aligns with one of Rotary's six areas of focus. WHERE HAS DISTRICT 7570 AND ITS CLUBS SPONSORED GLOBAL GRANT PROJECTS?